This craft beer guide to Frankfurt was first published in 2016 but is up-to-date as of December 2018. 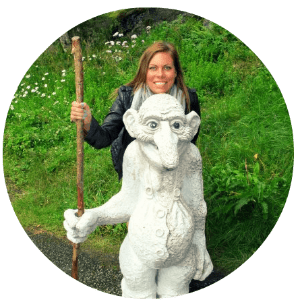 I have spent a decent portion of my life living or traveling within Germany. 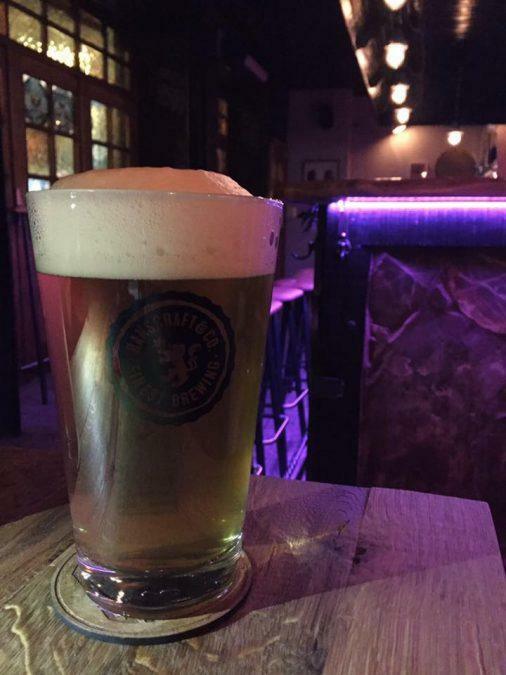 It wasn’t until recently that Frankfurt even had a craft beer scene worth mentioning. To be honest, I find most German beer tasting about the same. I always have. 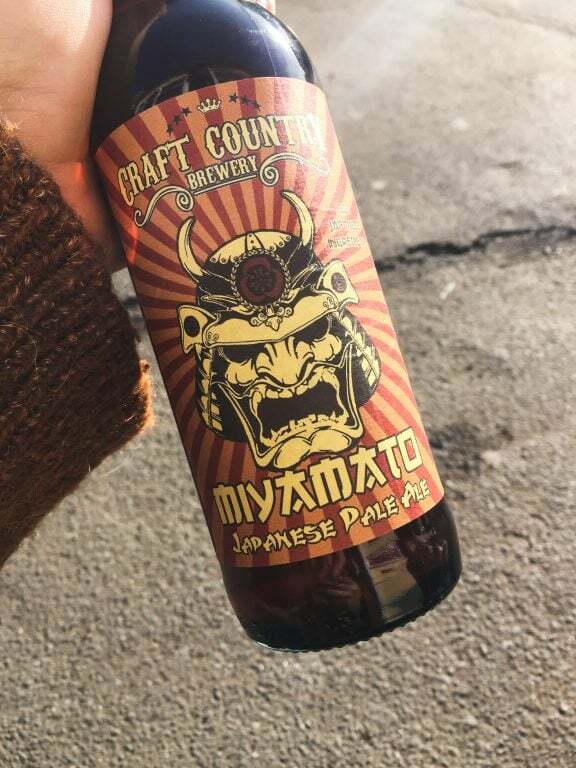 It has a great reputation around the world for the average beer drinker, but a rather lousy reputation amongst the craft beer community or people that are inveterate beer drinkers. Germany can pull off a pretty badass pilsner. They can also pull off a pretty badass dunkel and hefeweizen. But the Reinheitsgebot, or German Purity Law, has really hindered the growth of craft beer in Germany. To put things into layman’s terms, the German Purity Law does not permit a lot of craft beer to be called ‘beer’. If brewers use fruit in their beer, it can not be labeled as a ‘beer’. In order to be called a beer in Germany, the product must contain only water, malted barley, hops, and yeast. The interesting thing is… Germany didn’t invent beer. The earliest records of beer can be found in China and the Middle East… both of which used fruit in their brewing process. Before the Reinheitsgebot was birthed in 1516, Germans brewed a variety of beers and invented many others, including rye beers, goses, and Herb/Fruit beers. Rye beers and goses are now trending worldwide in the craft beer scene, but are still struggling to make a comeback in Germany where they are not be permitted to be labeled as a ‘beer’. Everyone has their opinion about the Reinheitsgebot and mine, personally, is that it is a load of crap (I respect you if your opinion is the opposite of mine). A purity law that still allows several chemicals to be part of the beer’s makeup as well as its discouragement against entrepreneurs these days just makes me think the whole thing is outdated and archaic. Don’t worry, I am not amongst the minority here. I prefaced the post with that to explain that the German craft beer scene is still in its development stages. Some cities are better than others. 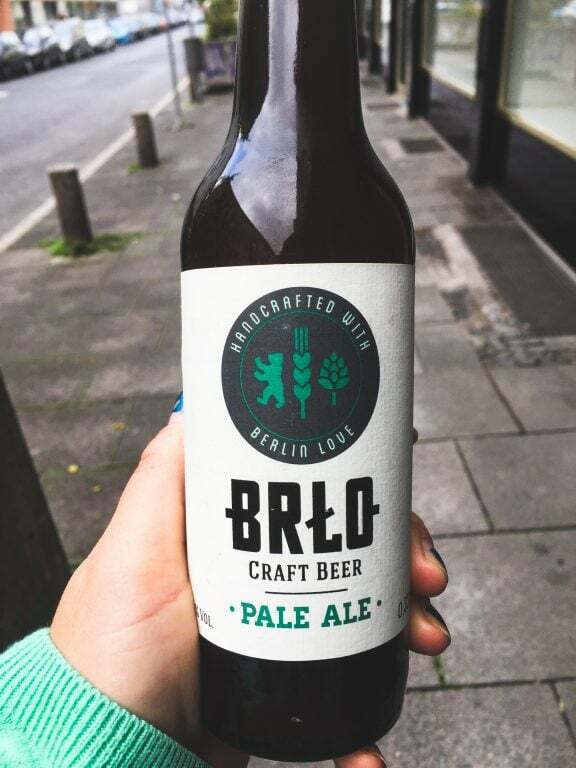 Berlin, for example, offers a decent selection of craft beers, but obviously still pales in comparison to offerings in the United States, United Kingdom, and Scandinavia. I found an amazing craft beer store in Dresden, but at least 60% of its offerings came from abroad. Heidelberg also has a wonderful craft beer store. And Frankfurt? We are getting there! 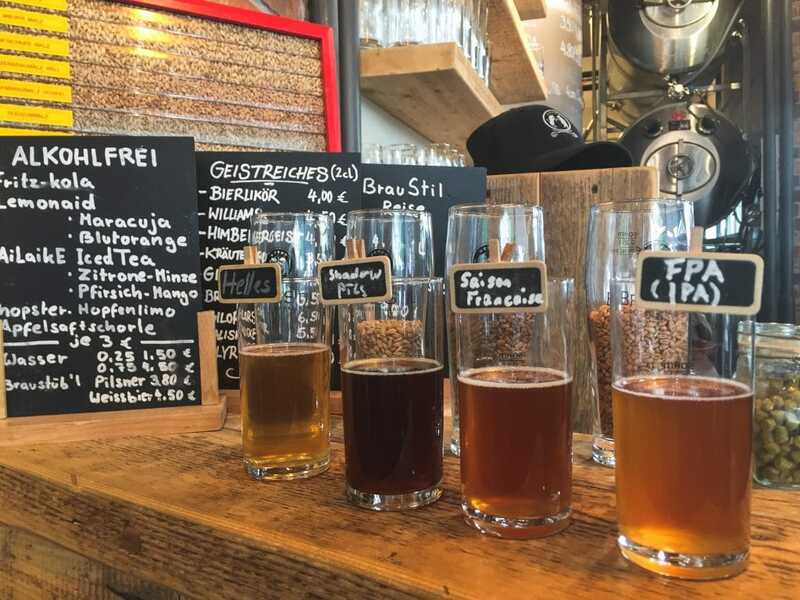 This beer guide will hopefully not stay conclusive of where you can find craft beer in Frankfurt because that will mean that the scene is evolving and still developing. Fingers crossed for that. But, as of recently, these are the best places to find craft beer in the city. Please note that most restaurants don’t carry craft beer. I have included a few that do a wonderful job of carrying some options, however. 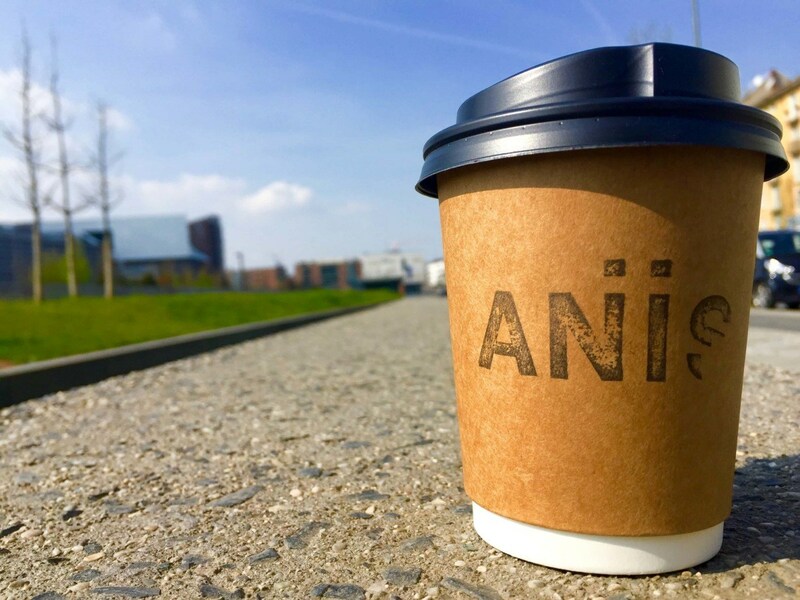 If you Google ‘craft beer in Frankfurt’, you will inevitably stumble upon the website for Naiv. And it is true, they do offer a good selection of beers and this is the best bar in the city to get a craft brew. I have been going to Naiv for years, and even though the price point is a little high in comparison to other bars, the beer is worth the price. Naiv also hosts two craft beer festivals a year in Frankfurt. I have been to only two of them (dang travels), but both were a great time and worth the small entrance fee. The festivals are ideal for those looking to explore the German craft beer scene and find their favorite breweries. They get an array of breweries there and if you go at the right times (not in the evenings), you have the opportunity to interact with the brewery representatives and ask as many questions as you want. The festivals also bring a myriad of food truck choices. Naiv recently added more taps in-house, so you can enjoy a larger selection of draft beer. This is a game changer, in my opinion. 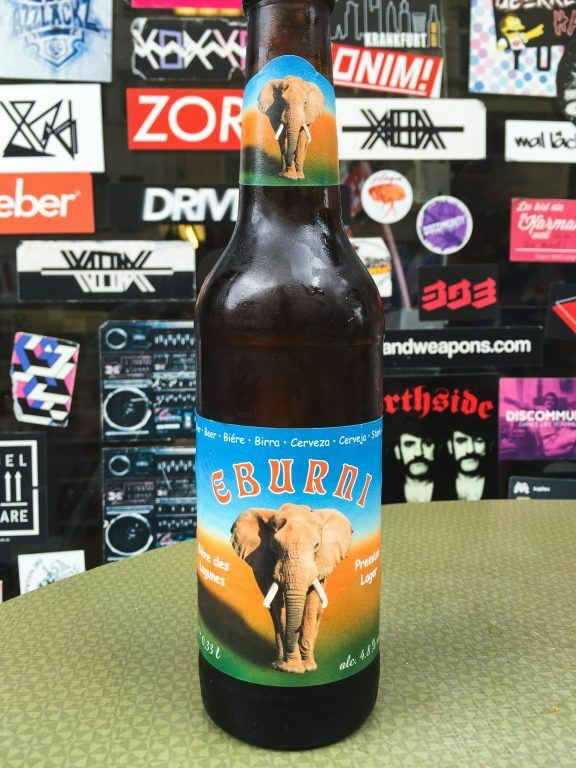 Beers to try: Anything by And Union (my favorite is Friday) or anything by Crew Republic. And Union is a brewery with Munich and South African roots and I think their branding is unique and their beer is just plain awesome. Crew Republic is Munich-based and, in my honest opinion, has some of the best branding and beer in Germany. They recently did a California Common (Steam Beer) collaboration with the Jerusalem-based brewery, Herzl Beer, which was an idea spawned from the Jewish Museum in Munich. You can read more about Herzl Brewery in this 2016 article from the BBC… it is extremely fascinating. My partner and I even ordered a case of X Steam Beer from Crew Republic directly for ourselves despite not being major Steam Beer enthusiasts. As for an international beer recommendation, definitely give Steamworks (Canada) Killer Cucumber Ale a go. Steamworks may be Canadian, but they do brew in Germany and contribute a lot to the beer community in the country. They do all of this while delivering delicious beer to thirsty consumers. Naiv can be found at Fahrgasse 4 in the Altstadt area. To find out more, check out their website and Facebook page. Yok-Yok is a small drinks kiosk located in the Bahnhofsviertel area of Frankfurt near the Hauptbahnhof. I have been going to Yok-Yok for years and, to be frank, their selection is so inconsistent. Sometimes I find a wonderful array of beers inside and other times I want to ask if they are going out of business. I have found everything from Urban Chestnut from St. Louis to beers from Mauritius. Their craft beer selection is just so hit or miss, but the great thing is that if you go inside and can’t locate many crafts, you can always grab one of their standard German beers. They have a massive variety almost always on hand. You can find Bavarian beers here that you will be hard-pressed to locate anywhere else in the region. Nevertheless, Yok-Yok is a fan favorite in the Bahnhofsviertel. There is always a crowd outside of it drinking whatever they can get their hands on inside. I really like that this place has groupies as it really does deserve them. I don’t love going inside, on the other hand, because it is extremely smoky. 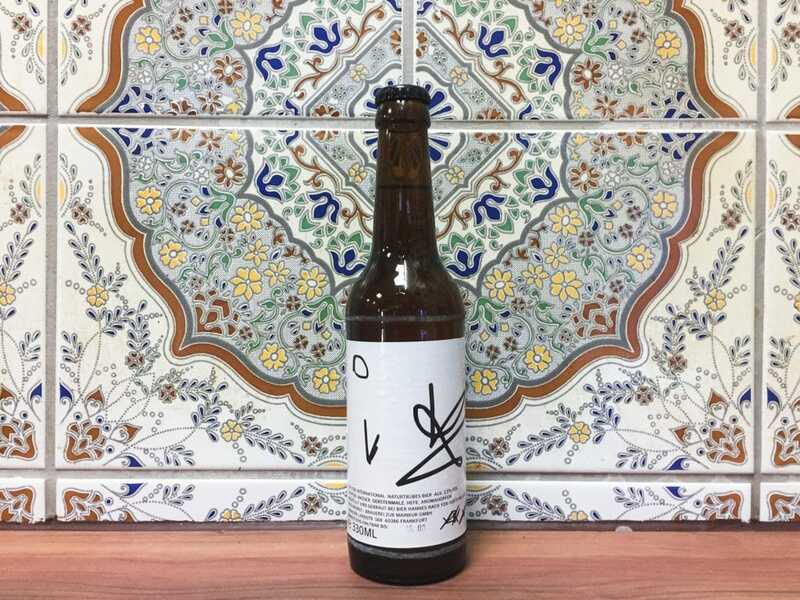 In the last two years, Yok-Yok has started offering their very own beer. It is a very simple, but rather delicious lager. And they have it priced less than 2 Euros (or at least they did), so this is a nice option for those on a budget. PS: The reason you are able to locate Urban Chestnut in here is because the Missouri brewery actually has a small brewery in Bavaria. Pretty cool, huh? If you want to learn more about it, there is a documentary called Crafting a Nation talking about small craft breweries in the United States that I watched on Netflix a while back and Urban Chestnut is one of the focal points of the documentary. Beers to try: It is hard to suggest anything in a place that has terrible consistency in regards to stocked product. Try anything they have to offer- really. And then grab one of their Yok-Yok beers (you will see it stocked with a white and black label) for the road. Yok-Yok can be found in the Bahnhofsviertel at Münchener Str. 32. To find out more, check out their Facebook page. If I had to choose my very favorite place in all of Frankfurt to buy craft beers to take home, it is undoubtedly Kiosk 45. 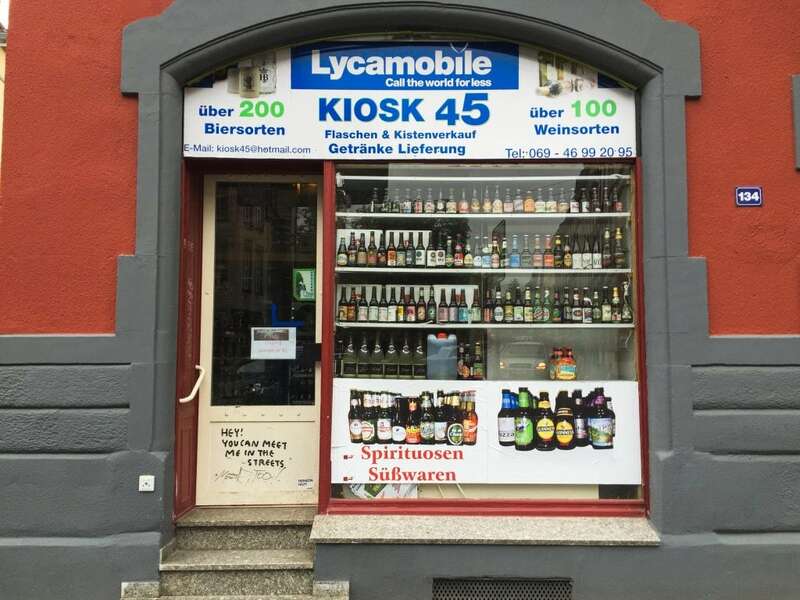 This kiosk is located in the city’s Nordend and has a plethora of beers from all over Germany and all over the world. Their craft beer selection is phenomenal. The funniest thing about this place is that a few years back, it wasn’t really much more than a small drinks and food kiosk. It is run by an Indian family who saw a gap in the market. Slowly over the last few years, they have started stocking craft beers in their fridges. And then, as luck would have it, they invested in a walk-in cooler and ramped up their selection of craft beers. 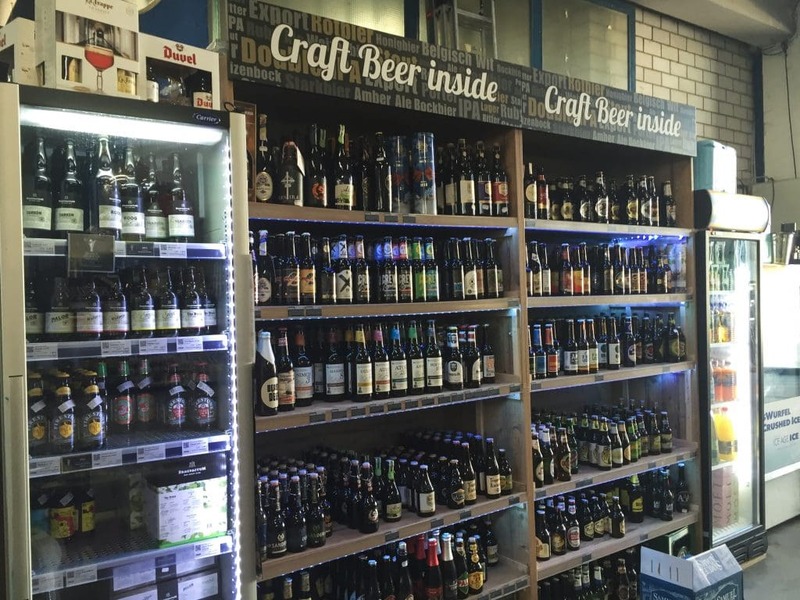 Unbeknownst to just about everyone, this is the place to find the best range of craft beers in Frankfurt. The kiosk is a bit out of the way, so for me, it is always a conscious trek to the other side of the city. I always enjoy stocking up on beers there and then taking them to the park nearby and reveling in the perfect combination of beer and nature. Beers to try: Try them all (the new arrivals are displayed on the right when you walk in). Not really, but they have a massive selection so you will have a field day inside of their walk-in cooler. I really like grabbing Berlin craft beers from here since they are not ubiquitous in Frankfurt. Heidenpeters is a good brewery to check out and they have quite a bit of their portfolio at Kiosk 45. I have long-awaited Vagabund’s arrival down into the Hessen market, but I have yet to see them. Vagabund is run by a trio of Americans who have a Szechuan Saison that I am determined to get my hands on immediately. If they have this, taste it for me and let me know how it is. Kiosk 45 also has some renowned ones from Hamburg like Buddelship, vonFreude, and Kreativbrauerei Kehrwieder that I recommend checking out. Kiosk 45 can be found at Wiesenstraße 45. To find out more, check out their website or Facebook page. Ixi is a drink market, or Getränkemarkt in German, located in the Rödelheim area of Frankfurt (arguably not as it is right on the edge, though). Ixi is another place I’ve been a customer of for some time and I have gradually seen their craft beer selection take center stage over the years. 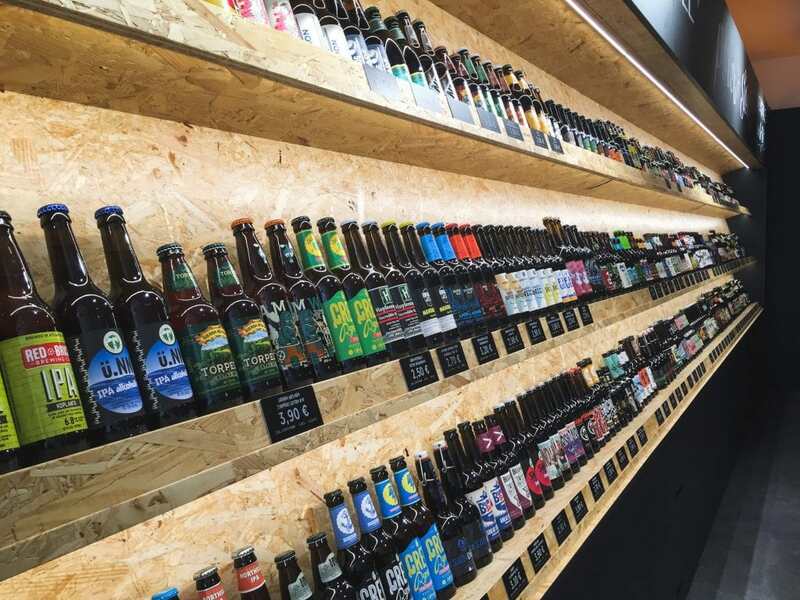 They started with just a small cabinet of craft beers and expanded into being one of the best places to find a range of craft beer in Frankfurt. Ixi doesn’t just offer a wide variety of craft beers, but they also offer wine, other beers, and soft drinks and snacks to customers. 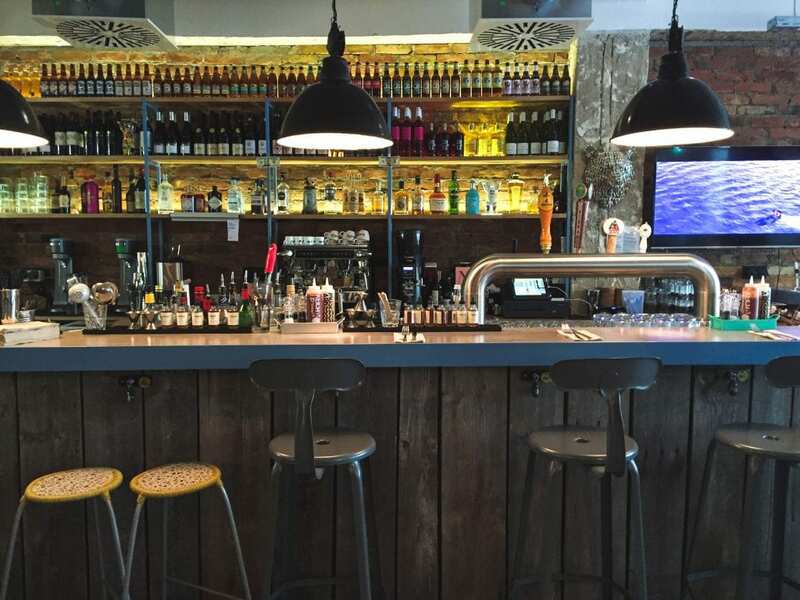 Ixi is a bit off the trodden path, but the visit is definitely worth it for craft beer lovers. 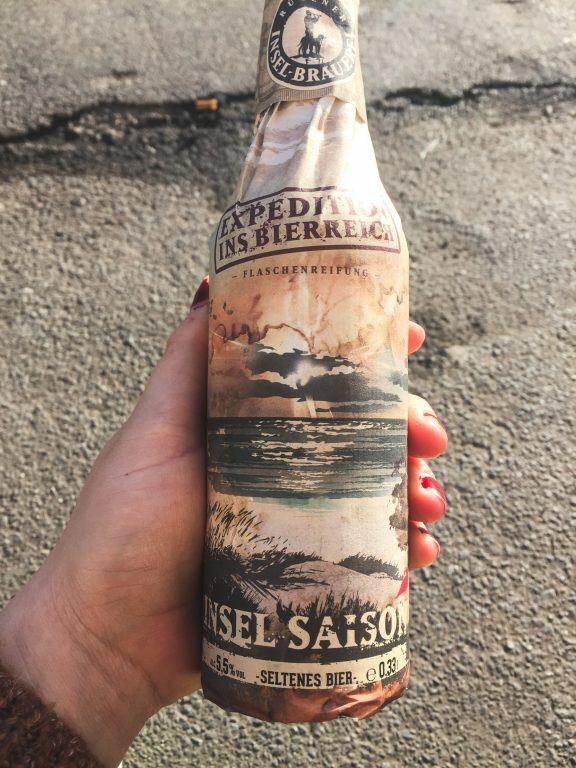 Beers to try: Ixi doesn’t have as large of a selection as other places in Frankfurt, but they have quite a few from a Rügen Island Brewery called Insel Brauerei. 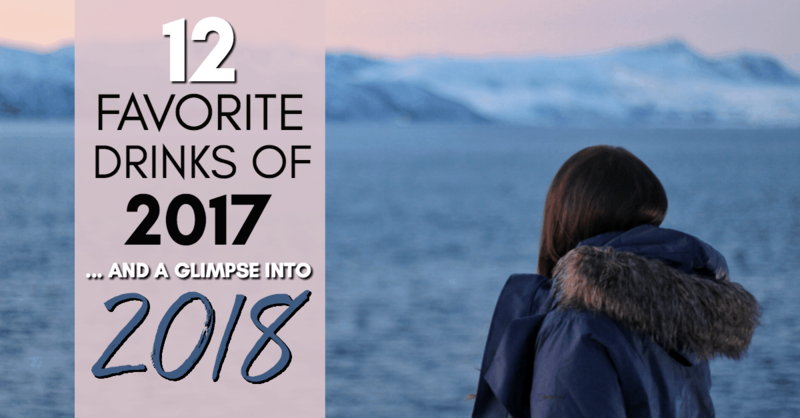 I have tried quite a few from them and have yet to have one I don’t like- and some of them are a bit heavy for my usual liking. Ixi can be found at Am Industriehof 7. To find out more, check out their website. One of Frankfurt’s newer additions in 2016, Bierothek is located inside of the shopping mall Skyline Plaza. 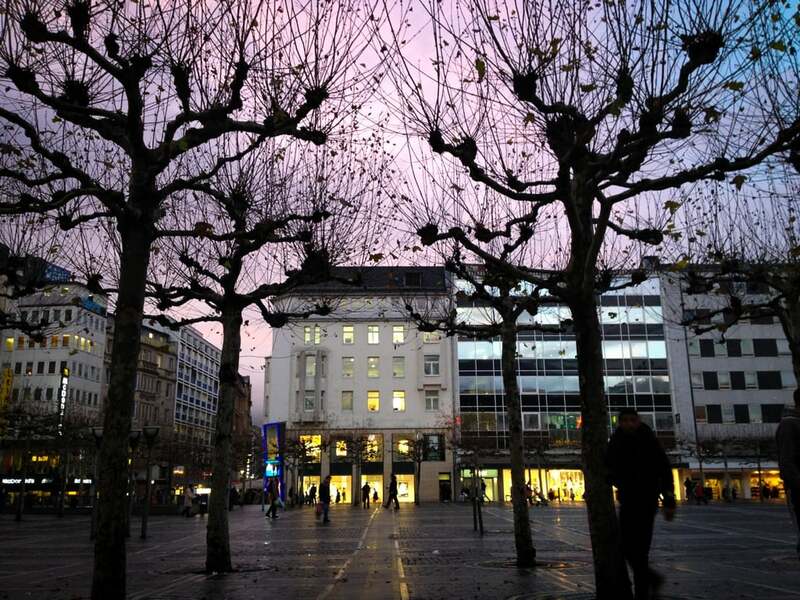 They are actually a chain and have shops in Bamberg, Nuremberg, Erlangen, Fürth, Erfurt, and Stuttgart in addition to their Frankfurt location. They just opened recently and are a huge hit with me since I live within walking distance of Skyline Plaza. The best thing about Die Bierothek is their selection. You can find beers from virtually anywhere in here. While I love supporting the German breweries, I love also seeing new beers pop up from the United States as it gives me the option to trial it despite living across the Atlantic when I have exhausted all of the German options. Bierothek also always has a beer on draft, and while they do like to rotate them, I have noticed that more often than not it will be St. Erhard’s, which is a pretty tasty beer (they offer a lager, farmer’s ale, and a saison). Bierothek doesn’t claim to have the lowest price point in Frankfurt, but you can always go there and find something that can only be found there in Frankfurt. Beers to try: If you’re into American craft beer, they have a vast selection. But, let’s be honest, if you’re traveling through Frankfurt, you should be indulging in the ever-growing German craft beer scene. If you’re looking at German craft beers, I really suggest Camba from Bavaria. I first tried their beers at Naiv’s beer festival in early 2016 and I really liked every single one I tried. They definitely did a lot of quality control before releasing any of their beers to the public. If you’re into Citra Hops (and shouldn’t we all be? ), look no further than the Hopfenstopfer Citra Ale. I also really love Ale Mania‘s Gose (Bonn). To feel really German, opt for a Gruthaus Pumpernickel Porter. If you have had every German craft beer and are looking for something new and unique… they have Estonia’s Lehe Brewery there. These are stellar beers and if you can get your hands on Kazbek, I would love for you to send me one as it is using Kazbek hops (originally from the Caucasus) which are a welcomed changed from the usual American hops found in many craft beers these days (and I despise Amarillo hops). 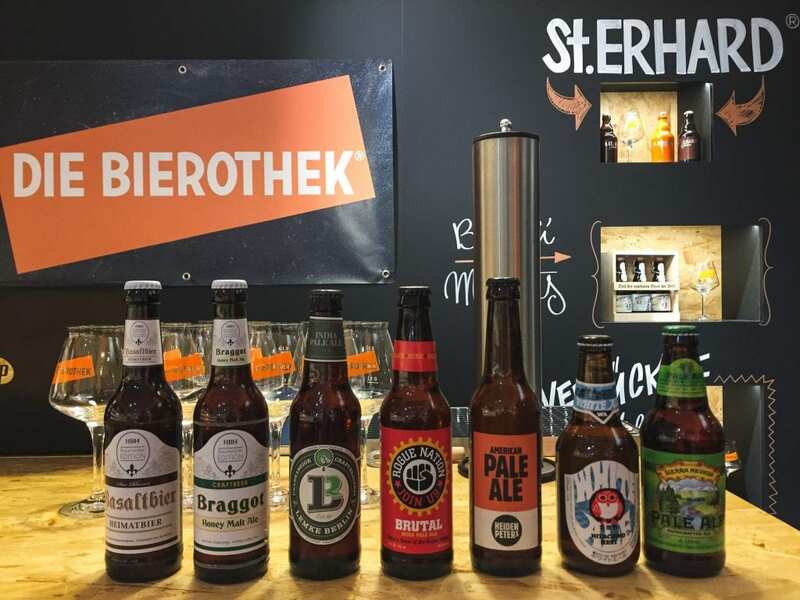 Die Bierothek can be found at Skyline Plaza at Europa-Allee 6. To find out more, check out their website or Facebook page. Wir Komplizen opened a few months ago in Frankfurt’s Nordend and has become a community staple since for craft beer enthusiasts. The space is quaint and decorated in a minimalistic manner, but the way they offer their beers is what is most commendable. They offer various sizes so that you are given the opportunity to try 100ml of beer before ordering a larger one. I can’t tell you how important this is for beer lovers as it gives people the chance to see if the beer suits their palate. Wir Komplizen also makes some absolutely delicious cakes (I have had great vegan ones there), small eats, and offers Sunday brunch. Wir Komplizen’s staff is lovely and attentive and they cater well to dogs (this is a major plus for me). You will also find that they do several events geared toward the beer community from tap takeovers to beer tastings. Beers to try: Everything! Since they offer small tasters of their beer, you can actually try a fair portion of their menu and their plan is to rotate (most) beers frequently. Do make an effort to try Sander as they always have quite a few from their portfolio in-house. Wir Komplizen can be found at Egenolffstraße 17 in Frankfurt Nordend. To find out more, check out their website or Facebook page. 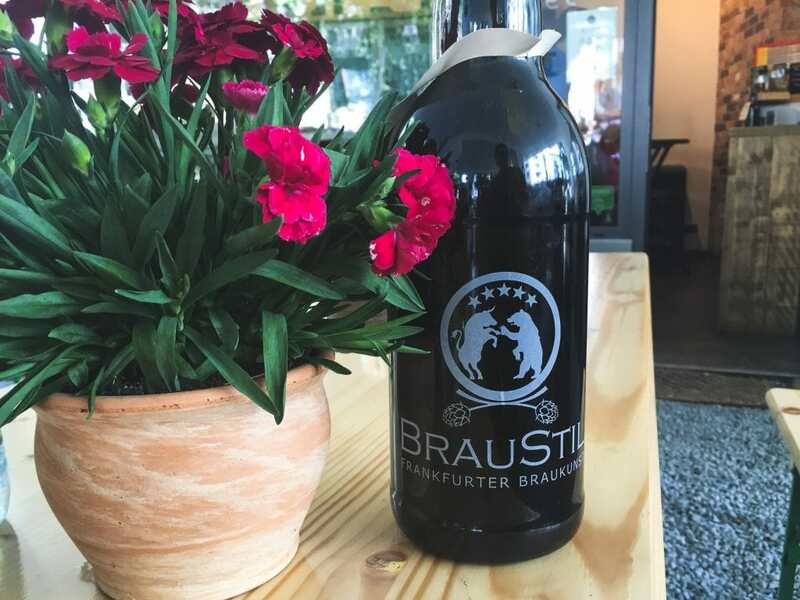 One can argue whether BrauStil is a craft brewery or a microbrewery, but with their beers, concept, and location, they absolutely deserve to be on this list. 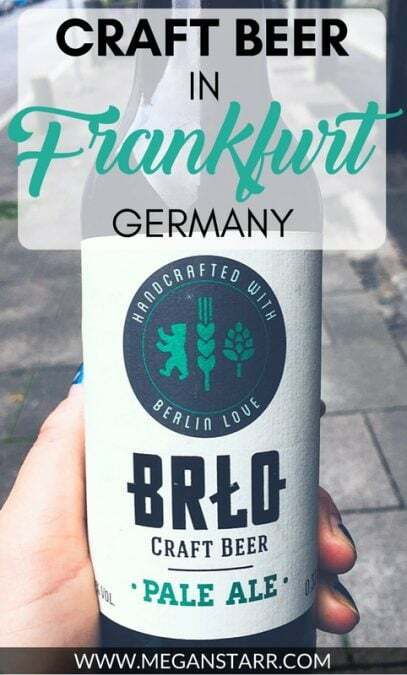 They are Frankfurt’s only in-city craft brewery and they offer beers and flights on-site for the thirsty patrons and those looking to take some of the goodness home. 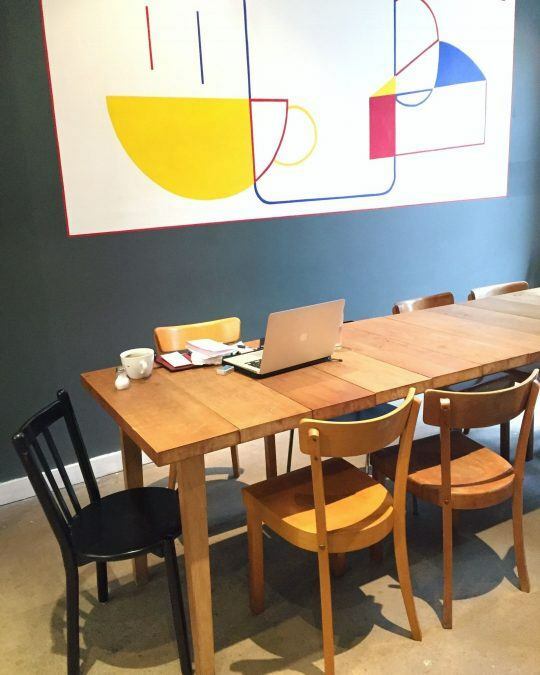 Their interior is small, but they offer a massive terrace on a hip street and it is the ideal place to chill with a group of friends or watch a sporting event. BrauStil is always offering and testing new beers, so be sure to ask what is happening behind the scenes. I have found the staff to be so passionate about the products that they have even offered me testers of beers they haven’t released yet for feedback. There is nothing I love more than sitting outside of BrauStil during the day in summer enjoying a cold beer while getting some work done (they have wifi that reaches the terrace). Beers to try: Order a flight and taste them all! BrauStil can be found at Oeder Weg 57. You can find more about them on their website or on their Facebook page. Beer shop and oil change? Yep, that is exactly what this name means and it has been a Frankfurt craft beer scene staple for quite some time now. I have to admit… I’ve never been to Bierboutique Ølwechsel. 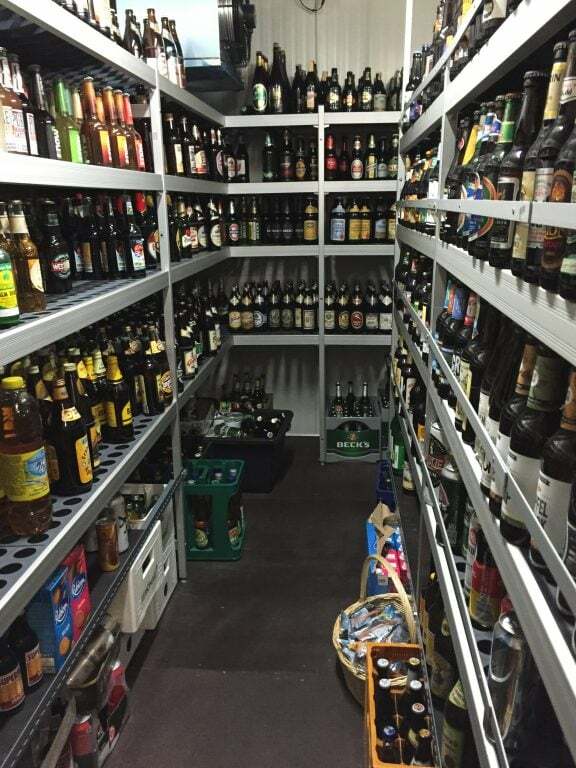 My partner has done beer tastings there when I wasn’t in Frankfurt and highly recommends the place. I never took the time to venture here when I am actually in Frankfurt as their hours aren’t extensive and I seem to have had nearly everything they sell. I also am not a fan of formal beer tastings as much these days. But based on my partner’s recommendations, it is definitely a place to check out for beer lovers. Bierboutique Ølwechsel can be found in Bockenheim at Basaltstrasse 21. To find out more, check out their website or Facebook page. Yikes, another place I haven’t tried. And I know that they have a decent selection. I haven’t gone here because I heard that they allow smoking inside (I’m allergic to cigarette smoke). Maybe I will give it a shot when I am back in Frankfurt and finally check out their selection. Normalkneipe can be found in Gallus at Frankenallee 113 and in Nordend at Northdahl 53. To find out more, check out their website and Facebook page. 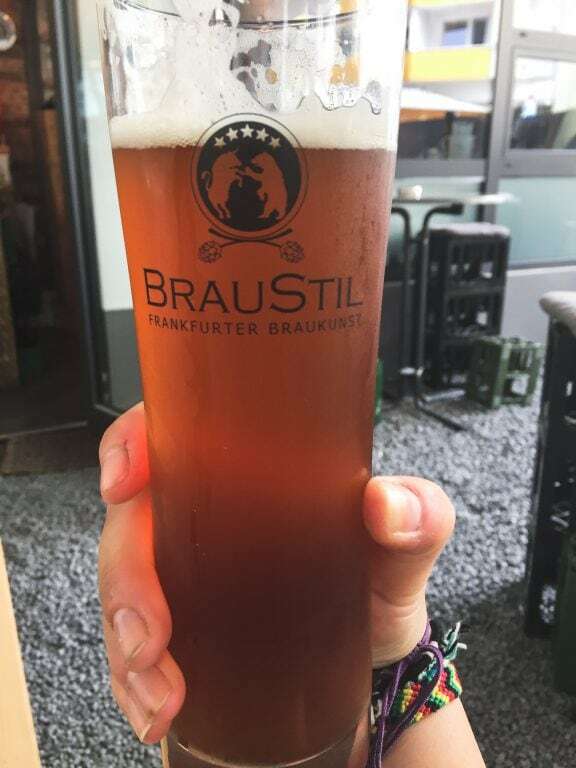 This is one of my favorite new additions to the Frankfurt scene and while their selection isn’t as extensive as other places, the atmosphere, and fact that they do have a few craft beers on draft more than makes up for it. I like Drinksmith as there is not a lot happening in Sachsenhausen in terms of craft beer and I can get my fix when I am on that side of the city. They also make nice cocktails. 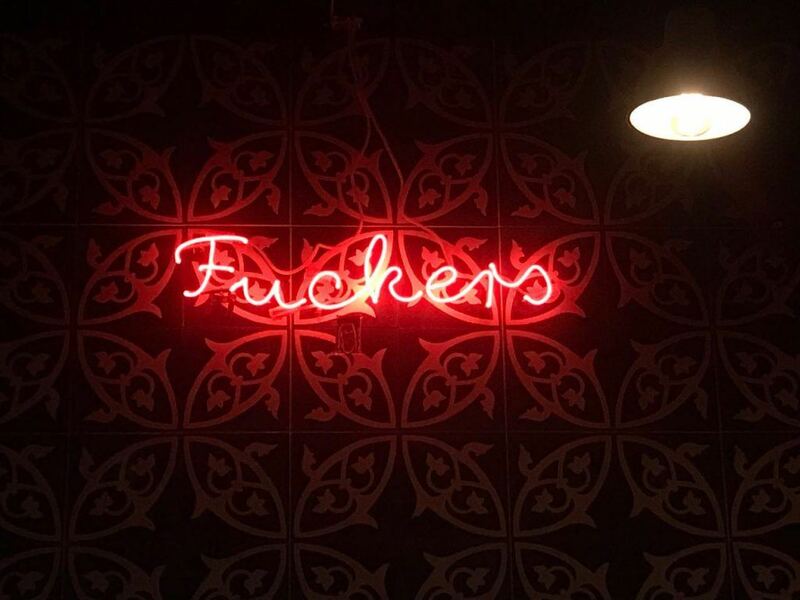 Owned by a South African who used to work over at Walon & Rosetti in Bahnhofsviertel, Zach Smith knows good beer and cocktails and how to run a bar. Beers to try: Ask what is on draft at the moment. I had a Hanscraft & Co. Backbone Splitter IPA when I was last there and I definitely recommend that as its 60 IBU leaves the drink well-balanced and not too bitter to ruin your taste buds for follow-ons and dinner later (I am always going for dinner when around here and I stop in beforehand). Even better, they even have their own in-house Helles. Drinksmith can be found at Wallstraße 14. To find out more, check out their Facebook page. In a way, it pains me to list Rewe, a chain grocery store on this list. But, I think it does warrant a spot for those of you passing through who haven’t had too many German craft beers, or simply can’t afford them anywhere else. The larger Rewes have a good selection and, hands-down, the cheapest prices of anywhere in the city. Every establishment listed above is either a craft beer-focused bar/gastropub or a beer shop (with the exception of Rewe). The following places are primarily restaurants that have a few craft beer options to please customers. 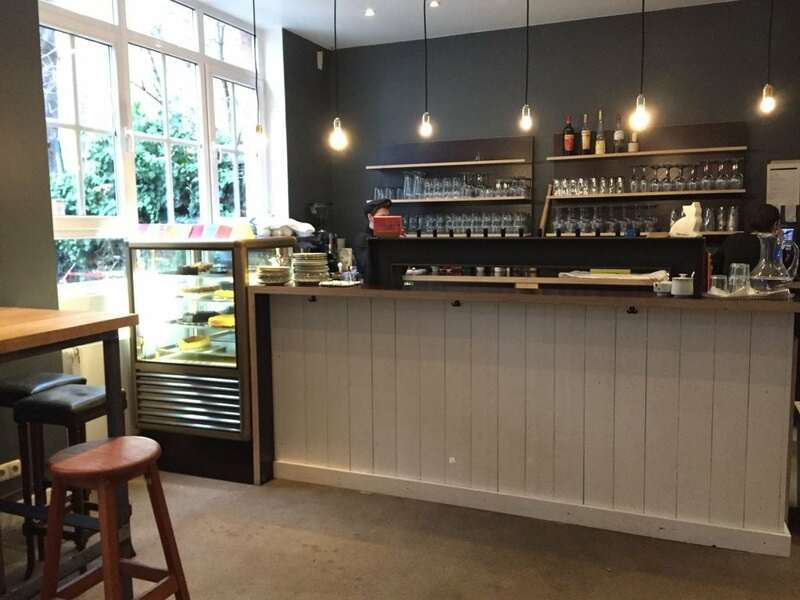 Newly opened and situated far off of Hanauer Landstraße in Frankfurt, Dicke Wutz is a restaurant focusing on American style barbecue and cuisine. My partner got to check it out while I was staying in Romania and said that his food wasn’t up to the standards that he had wished, but the craft beer options were really solid. This place is actually owned by Urban Kitchen, so it is not an independent establishment. Dicke Wutz can be found at Hanauer Landstraße 192. To find out more, check out their website or Facebook page. 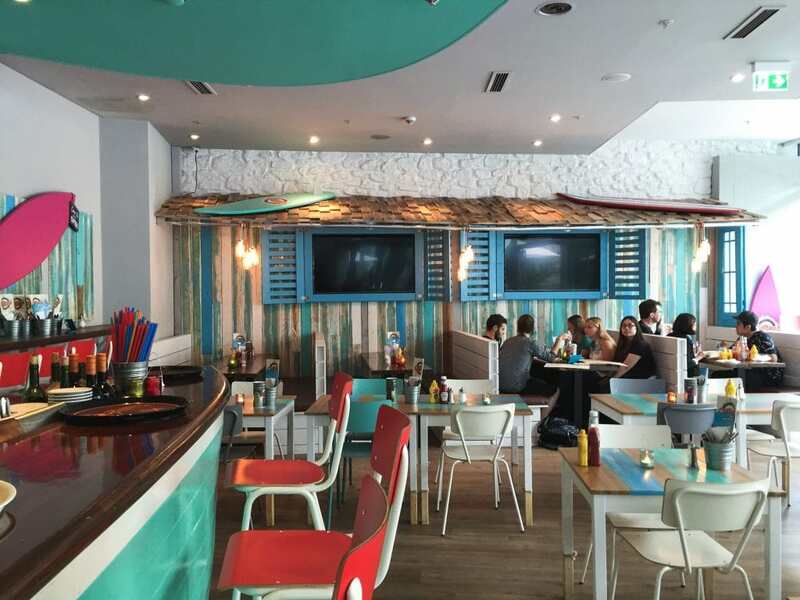 Chillers is a California-inspired restaurant that is at An der Welle and has a fresh and inviting interior and food that is really dang good. The owner lived in California for a while and brought back a piece of the western US state with him to Frankfurt (and Wiesbaden). 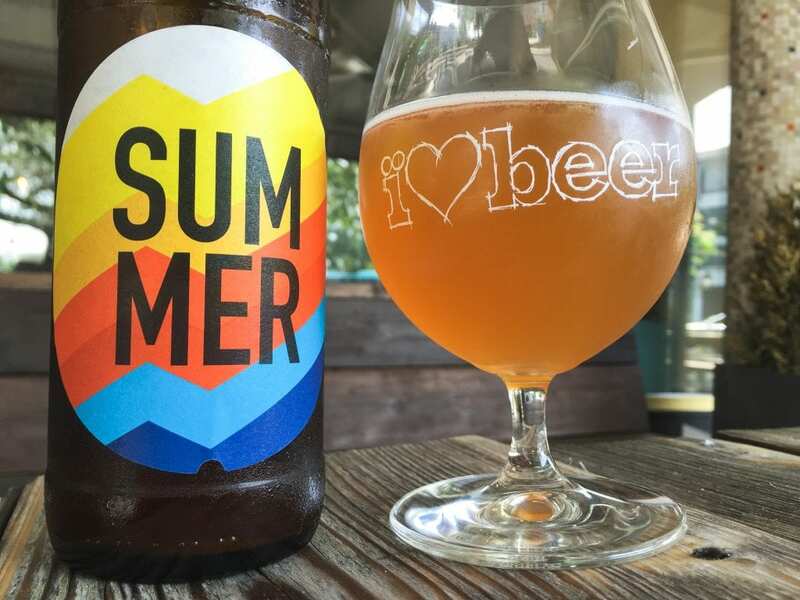 Their craft beer program is pretty decent for a restaurant and after speaking to the owner last year, it seems as though he is planning on expanding it in the near future. Update: I just found out that Chillers now has TWENTY craft beers to choose from. Pretty remarkable for a restaurant and even more reason for me to go once I return to Frankfurt. Chillers is located at An der Welle 7. To find out more, check out their website or Facebook page. Another US (New York) restaurant, this Sachsenhausen organic burger place has not only delicious and sustainably-raised food, but also a few craft beers that will ensure hungry patrons don’t also end up thirsty ones. 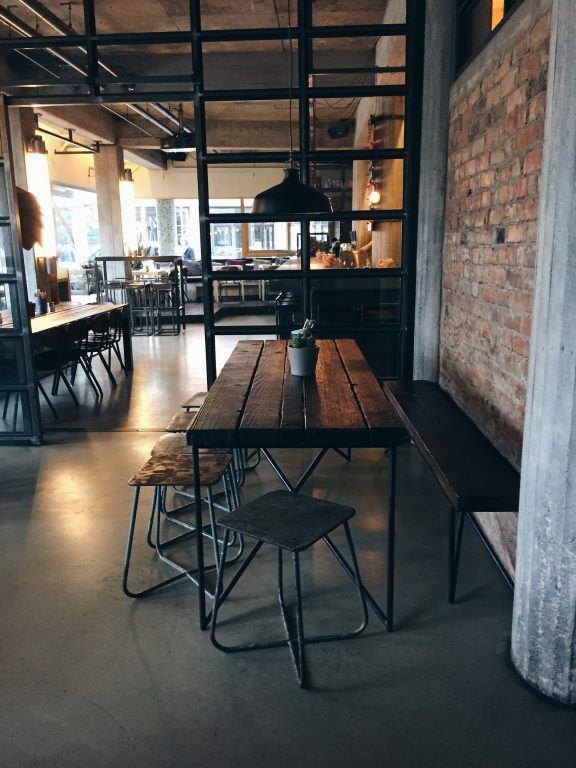 Bareburger is located in Sachsenhausen at Schweizer Str. 56. To find out more, check out their website or Facebook page. 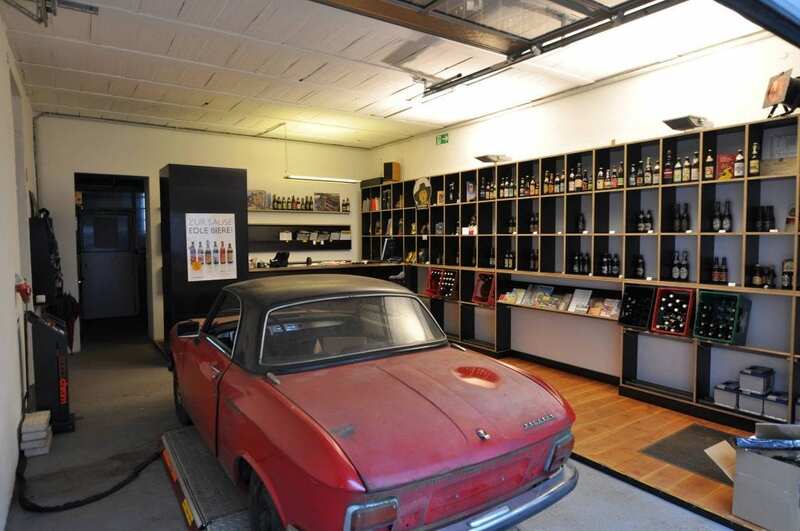 The beer shop/garage is very interesting, have never seen anything like that. Love German beer, although haven’t spent time in Frankfurt. Bamberg is one of my favorite beer towns, just incredible beer. I really want to spend a long weekend in Bamberg one of these days!!! Hopefully will get the chance soon- the beer is calling my name! Definitely sending this to my brother for his trip to Germany. Yes! And if he needs a person to grab a beer with…… I’m usually here!